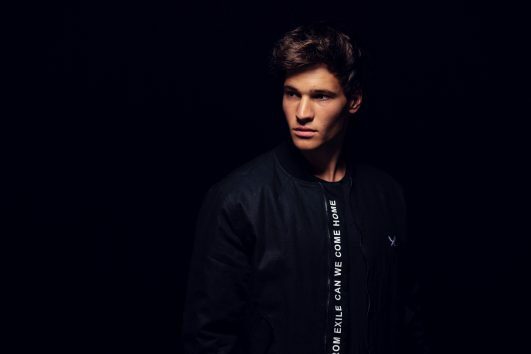 Wincent Weiss, one of the most successful newcomers in the German music scene, is launching his first North-America tour in early December and will stop for one night in New York City! Sponsored by the Goethe-Institut and the Initiative PASCH-Schools: Partners for the Future to celebrate the 10th anniversary of the initiative, the tour takes the rising star through Canada, the US and Mexico. Don´t miss the chance to see the 2017 MTV Music Award winner live in action, who has been conquering the charts since 2015 with songs like Unter meiner Haut, Regenbogen, Feuerwerk and the album Irgendwas gegen die Stille(Something against silence). Register now free of charge and bring along your students or teenagers for an unforgettable evening. Wincent will sign postcards for fans at the end of the concert.